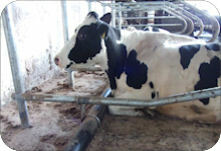 Specially designed to encourage cows to lie straighter in long cubicle beds. Use with our cow-friendly poly-brisket rail to position cow correctly. 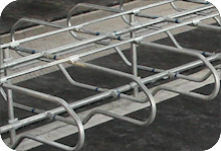 A standard shape, well-made and economical cantilever cubicle. Compatible with all our mattress products. We now offer the full range of free stall cubicles and feed yokes from Spinder, one of Europe’s leading manufacturers of dairy housing. 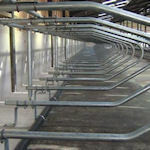 Products suitable for all breeds from Channel Island breeds to large Holsteins including young stock. Researched, developed and tested in close collaboration with top dairy producers, animal scientists, and agricultural research centres across Europe. Fixing bolts and nuts are nickel plated high tensile steel. This bracket raises the headrail position by 125mm to improves cubicle acceptance. 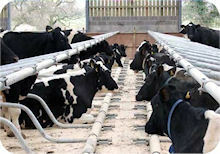 It is easy to install and suitable for all cantilever cubicles. Just ask us for more details. See more pictures of cubicle installations.